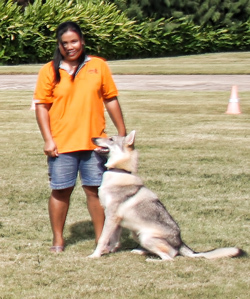 Jeab is a very experienced handler/ trainer. 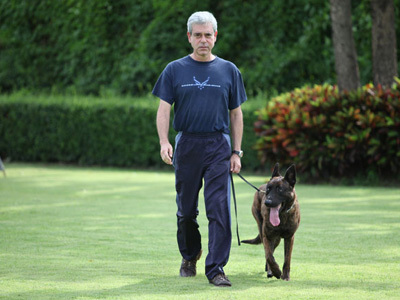 He has been active in numerous Schutzhund/IPO competitions. 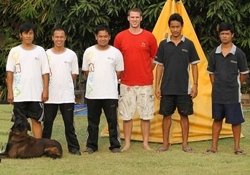 Jeab has trained and titled numerous dogs through to IPO 3, and has passed his FCI IPO Helper/Decoy exam with a B certificate. He is a three time winner of the Kings cup Trophy in Thailand. Jeab handled Enrico v.d. Vroomshoeve at the 2009 FCI world championships in Austria.